Anyone who spends much time learning about debt relief options eventually hears debt settlement horror stories. Unfortunately, some of the less-than-ethical debt settlement companies have no problem lying to consumers and taking money without delivering any promised results. New Era is not one of those companies. The foundation of New Era dates back to 1999 when co-founders Dan Smith & Alex Viecco launched a financial consulting firm named DTS Financial. It soon became apparent that clients needed to address their high debt balances before DTS Financial could put together a sound financial plan. Seeking a solution led Dan & Alex to Debt Settlement in its earliest stages. As time went on, more and more clients needed debt relief help, and soon Debt Settlement became the core product. In 2007, the two launched New Era Debt Solutions specializing 100% in Debt Settlement solutions. In answering the following questions, we refer to both historical and recent data. Historical data dates back to 10/31/2000 and recent data dates back to the transition from DTS Financial to New Era Debt Solutions on 11/8/2007. New Era uses a Performance-Based Fee Model. All of our fees are billed only after a settlement has been reached. You do not pay monthly administrative fees, and you do not pay for services not rendered. While New Era has utilized a performance-based model for over a decade, the FTC has made this a requirement effective October 27, 2010. Unfortunately some companies continue to charge fees upfront. What percentage of clients drop out before completion? New Era has experienced a drop out percentage of 18.28%. The reasons are broken down into categories listed in question #7. We credit our performance-based pay model and the motivation of our clients with our exceptionally low dropout rate. For those who complete the program, what was the average length of time in the program? What is your average settlement amount? New Era has settled the accounts for an average of 42.87% of the account balance at time of settlement. This means that New Era has negotiated an average 57.13% reduction on the consumer’s behalf. However, it is important to understand that during the pre-negotiation and negotiation phases, the account balance will continue to grow due to interest and fees charged by the creditors. Even considering the growth of interest and fees charged by the creditors, New Era on average settles the debt for 47.77% of the enrolled balance, which means the average consumer will realize a savings of 52.23%. Please keep in mind, these numbers do not include any fees charged by New Era Debt Solutions. What percentage of clients accounts experience any legal activity for a debt that was included in the program? While litigation is an available tool utilized by some creditors to motivate consumers to make a payment, only 6% of New Era client accounts ever experience any sort of legal activity. In the unlikely event that any legal activity occurs, New Era continues to negotiate on the client’s behalf to reach a settlement. Less than 1% of all client accounts experience any escalated levels of legal activity such as a lien or wage garnishment. 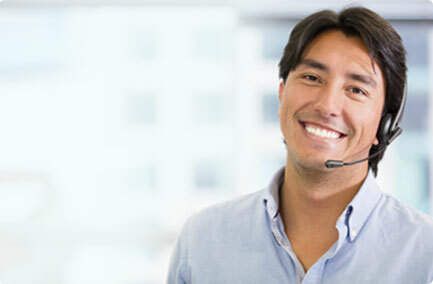 What percentage of clients continue to get collection calls while in the program? Banks require collections calls as part of the charge off process. For that reason, all clients may continue to receive calls. However, New Era provides education for all clients on the Fair Debt Collection Practices Act to identify any potential violations. New Era also utilizes a variety of strategies to mitigate the calls, including but not limited to communications with the creditors. What are the reasons why clients have left the program before completion? While most clients enter into a program with the greatest of intentions, sometimes “life happens” and the greatest of plans can get abandoned. Below you will find the statistics of clients that have left the New Era program prior to completing. The results are based on many factors, some of which are completely out of New Era’s and/or the client’s control.